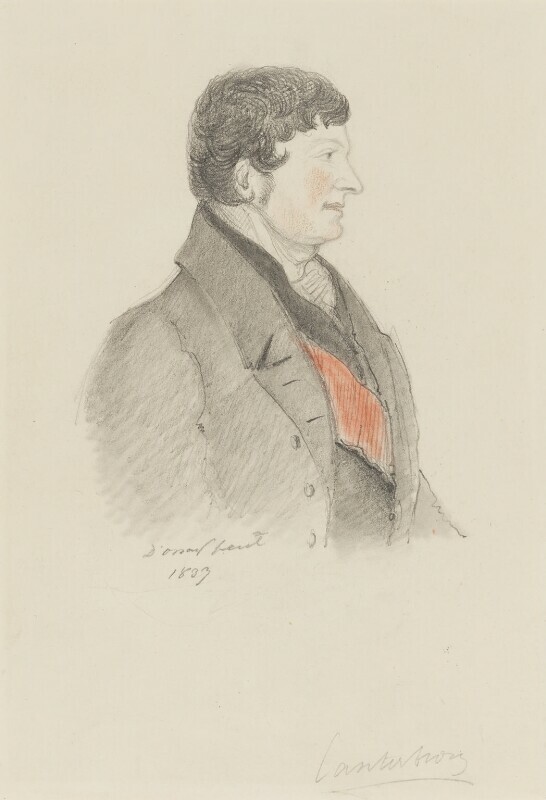 Canterbury was Lady Blessington's brother-in-law and a frequent visitor at Gore House; D'Orsay exhibited a portrait of him RA 1847 (496) and small oil portraits were in Lady Blessington's sale 7-26 May 1849 (995 and 1042); he also exhibited a marble bust of Lady Canterbury SBA 1846 (774). Profile to right, mainly in black pencil with lips and cheek lightly touched with pink, Ribbon of Bath in red; thick dark hair or wig. Lithograph by R. J. Lane 1837 (R. J. Lane’s accounts and letters, mainly for lithographic drawings, II, 15).